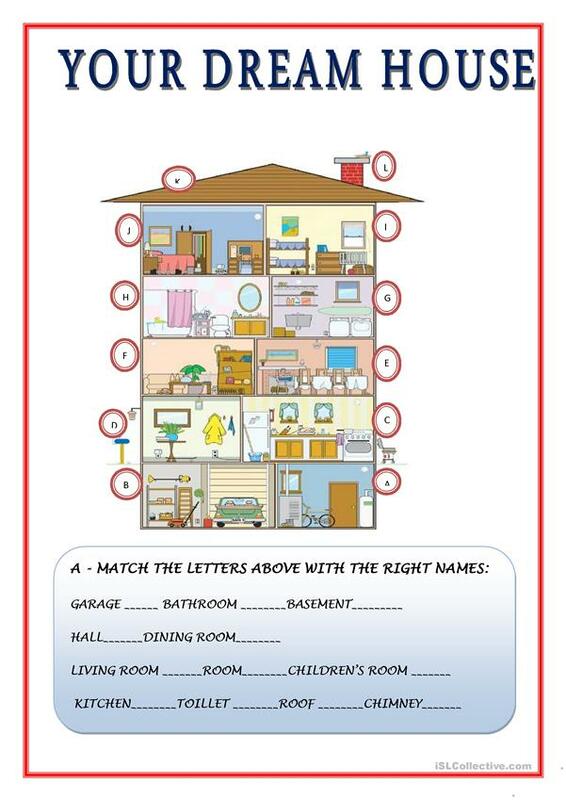 A SIMPLE WORKSHEET ABOUT THE TOPIC: HOUSE. STUDENTS ARE ASKED TO MATCH THE LETTERS WITH NAMES OF THE COMPARTMENTS. The present downloadable teaching material is best suited for elementary school students and kindergartners and nursery school students at Beginner (pre-A1) and Elementary (A1) level. It is a valuable material for working on your students' Spelling, Reading and Writing skills. It features the topic and words of Home.